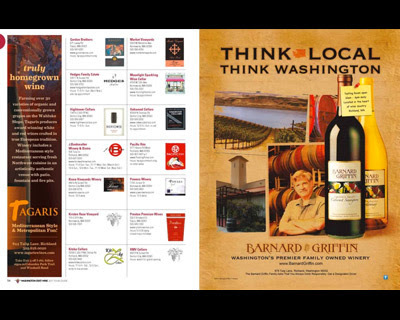 Design Hovie Studios has designed a new full page ad for Barnard Griffin Wine to go into the Washington State Wine Tour 2011 Guide Magazine. The ad reflects the local, Washington grown qualities of the artisan wine. The project was completed in conjunction with Design Hovie Studios marketing partner Wines of Washington Promotion.